Pfizer Inc. (NYSE:PFE) announced today that it has entered into a non-exclusive clinical development agreement with Novartis (NYSE: NVS) to investigate one or more combination therapies for the treatment of non-alcoholic steatohepatitis (NASH). 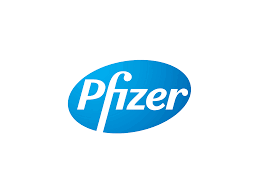 The companies will conduct both non-clinical and Phase 1 clinical studies of Pfizer’s investigational therapies, including an Acetyl CoA-Carboxylase (ACC) Inhibitor (PF-05221304, currently in Phase 2), a Diacylglycerol O-Acyltransferase 2 (DGAT2) Inhibitor (PF-06865571, Phase 1) and a Ketohexokinase (KHK) Inhibitor (PF-06835919, Phase 2), together with Novartis’s tropifexor, a non-bile acid, Farnesoid X receptor (FXR) agonist. At Pfizer, we apply science and our global resources to bring therapies to people that extend and significantly improve their lives. We strive to set the standard for quality, safety and value in the discovery, development and manufacture of health care products. Our global portfolio includes medicines and vaccines as well as many of the world’s best‐known consumer health care products. Every day, Pfizer colleagues work across developed and emerging markets to advance wellness, prevention, treatments and cures that challenge the most feared diseases of our time. Consistent with our responsibility as one of the world’s premier innovative biopharmaceutical companies, we collaborate with health care providers, governments and local communities to support and expand access to reliable, affordable health care around the world. For more than 150 years, we have worked to make a difference for all who rely on us. We routinely post information that may be important to investors on our website at www.pfizer.com. In addition, to learn more, please visit us on www.pfizer.com and follow us on Twitter at @Pfizer and @Pfizer_News, LinkedIn, YouTube and like us on Facebook at Facebook.com/Pfizer.